I arranged out a 430-mile course that both autos ought to have the capacity to make without refueling and picked a blend of Interstate and country byways that went through residential areas. To minimize the impacts of the steady westerly wind we have on the West Coast I picked a course that is as near to a circle as could be expected under the circumstances. 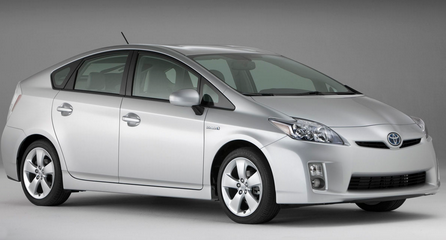 Furthermore, to be reasonable to the Prius I dispensed with any of California's colossal rise changes. The course began and finished adrift level climbing once to 1800 feet twice to 1000 and stayed free of exceptionally soak climbs. We set out with just two standards don't get differentiated and drive like a sensible person. That implied we ought to stay aware of trafficno hypermilingand with one another. Each 20 miles we would swap positions so that neither one of the cars was in the number one spot all the more regularly. Also, every 40 miles we would swap drivers. This we trusted would minimize the impacts of our contrasting driving styles. In consistent radio contact we would report our outing PC's shown odometer perusing and normal MPG each 10 miles. More than anything just to worry one another. The outing leaves from Brisbane California just south of San Francisco and we union right onto the interstate. Traveling south with movement at around 80 mph the trek PCs are in lockstep both demonstrating 42.8 mpg at the 50-mile mark. As we start to move to the most noteworthy rise on the course the Mercedes begins to draw an enormous focal point. Furthermore, by enormous I mean 0.5 mpg. Nearing the highest point of the slope the Benz demonstrates 40.6 mpg to the Prius' 40.1. I radio Mike when at the 68-mile stamp the Mercedes downshifts out of top apparatus without precedent for the test. The motor is turning the majority of 1800 rpm. "Wow I still can't hear this motor. How's the Prius doing?" 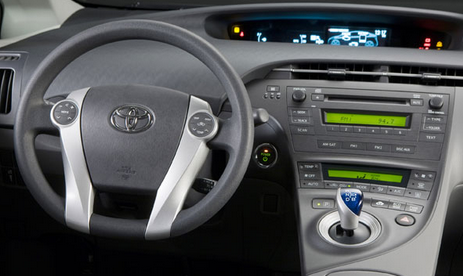 From the auto before me by means of radio "The Prius is going to code." Mike and I are both awed that the two autos' odometers are perusing so closelythey're inside 0.1 mile at the 120-mile marker. Similarly as noteworthy for the Prius is that they're likewise ready to keep up the same energetic pace on a twisty area of street. There's little uncertainty that the Mercedes would beat the Toyota in a hard and fast country terrace race however the autos are comparative as far as general grasp. Furthermore, the Prius shows really admirable body control over the knocks Anybody driving this auto at wheelchair paces has no motivation to do as such. 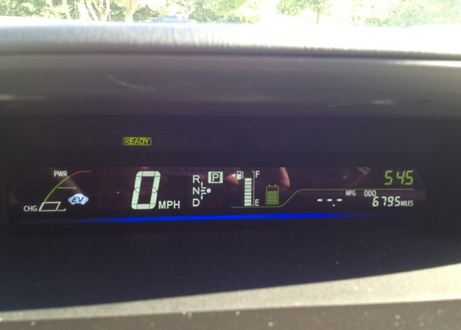 At 150 miles I gloat over the radio that the Prius' PC is demonstrating 313 miles of remaining fuel range. Mike radios back "Uh the Mercedes can do another 771 miles. Failure. Some place around the 200-mile mark we end up on a forsook stretch of consummately straight street with nobody around. I bump the Prius up to 90 mph. At that point 100. At that point 112. At that point 114. Mike reports that the Mercedes speedo is demonstrating 115 mph. I declare that the Prius won't go any quicker. Mike declares that the Mercedes once more hasn't tried to downshift out of top apparatus. What's more, the incredibly calm diesel still hasn't once spun past 2500 rpm. I report that I can scarcely hear him over the wind commotion the shouting motor clamor and what sounds like an Electrolux in the rearward sitting arrangement Hitting a buck-ten is for the record inside the domain of what "sensible individuals" would do driving on this deserted street. Be that as it may we don't anticipate that a great many people will stay at a their Prius' top speed for long so the fun keeps going just a couple of short seconds. Thus its back to a sensible 65 mph. There are a couple of focuses on the two-path streets where we pass moderate moving vehicles. Whenever the Mercedes is in front there's the perpetual call from the Prius "Ease off Speed Racer I can't keep up." And then the reaction "Ugh fine. Still in seventh rigging at like one-quarter throttle." The distinction in accelerative ability between the Prius (0-60 in 10 seconds) and the E250 (0-60 in 7.3 seconds) is far more noteworthy than those numbers recommend because of the diesels torque In an out and out race through the quarter mile beyond any doubt the Prius is "just" 1.9 seconds behind and on the off chance that you observe the 5-60-mph speeding up times you can perceive how much the Mercedes' turbo slack impedes moment reaction. Yet in this present reality the distinction between the low-revving turbodiesel's 369 lb-ft of torque and the Prius' torque-denied Atkinson-cycle gas motor feels like 10 times what it is. 0 Response to "Prius Gas Mileage At 80 mph"